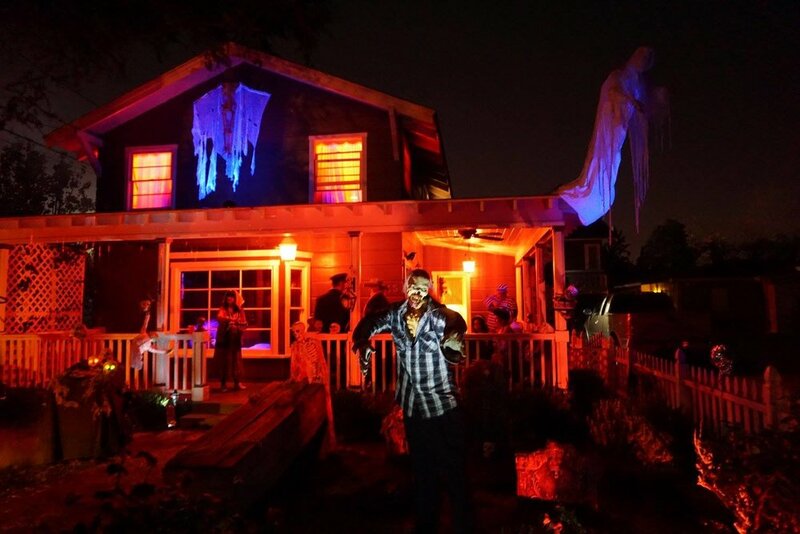 How many of you make the effort to decorate your home for Halloween? I love any chance to use my creative side other wise I wouldn't do what I do but Halloween is another level. I haven't hosted a Halloween party for years, the last time I did included dark lighting, some amazing Halloween decorations that I had collected from a previous trip to the States, smoke machines and a hallway painted black and covered in crispy leaves and yes what a clear up that was!!! although it was like a building site anyway due to it needing to be refurbished otherwise I’m not sure I could’ve got away with this usually. Us Brits do like Halloween we do the trick or treating with the children, however it just doesn't feel much fun for them anymore. Most people don't answer their doors so it kind of kills the excitement for the children. The decorations that are available now in the UK are getting better, but I feel us Brits need to do something more to keep Halloween alive for the kids. Having done Halloween in the USA (Las Vegas) and knowing what’s on offer over there, I mean they have pumpkin farms and warehouses full of Halloween costumes and I’m pretty sure they’re open pretty much the whole of the year. 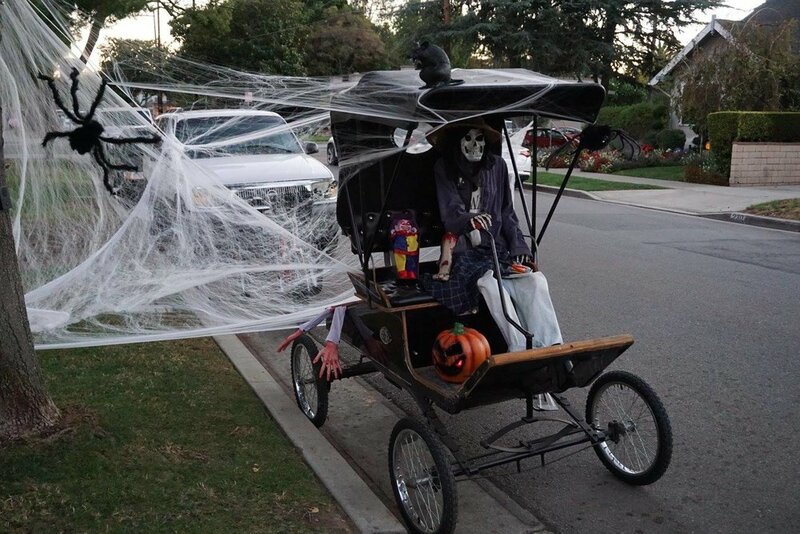 I am lucky enough to have some friends in Orange county that really embrace the Halloween celebrations and of course making sure their gorgeous family has as much fun as possible. Check out their beautiful home along with the neighbouring homes. Now this is how you should decorate your doorway or front porch for Halloween. 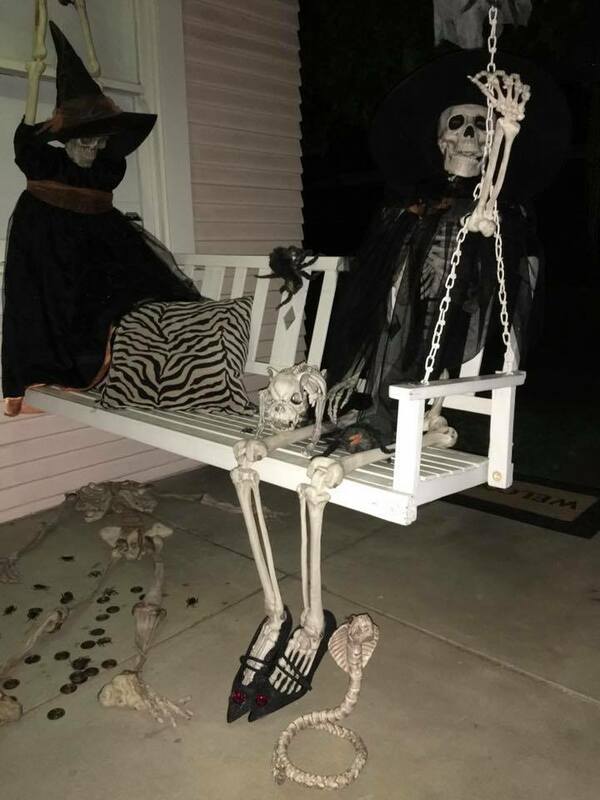 My favourite is those brilliant Skeleton’s coming out of the front lawn, Brilliant !!!! Here in the UK we are governed by the British weather and the fact that it may be raining on Halloween so why not take some ideas for your interiors. If we are lucky with the weather take the party outside and definitely make that front door as scary as possible. How effective is this ? for those who have a wooden staircase or even a little exposed wood. Try making a template and the kids can get cutting. Cobweb’s an easy way to make any area look spooky especially with some green or orange bulbs shining up on it. Lighting is a great way to create an unsettling feel, after all that's what’s its all about. 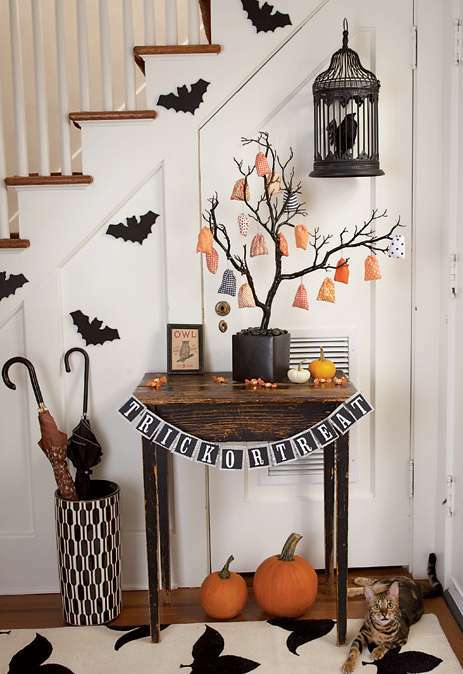 So I hope these inspire you to get decorating because this holiday is all about the children I would love to hear your ideas and some pictures of your Halloween decorations just add them in the comments section below.